An employee stock purchase plan (referred to as an ESPP) allows you to buy shares of company stock at a price that is below market value. The terms of each plan differ, but generally, you can buy shares in the company for about a 10-15-percent discount. By consistently participating over time in your ESPP through payroll deductions, you can accumulate a substantial amount of money over your working years. It’s easy to accumulate wealth this way, but how do you treat this as you approach retirement or when you retire? Do you gradually part with this stock a little each year, or sell it all at once? This is where it gets complicated. You have two things to consider when selling ESPP shares: risk and taxes. Let’s talk about risk first, because it is more important than taxes. Holding a lot of your wealth in a single stock is riskier than other investment approaches, such as owning an equity index fund. On an investment risk scale of 1 to 5 with 5 being most risky, owning a single stock is a level 5, putting it in the highest risk category relative to other choices. As you near retirement your money has a defined job to do, which is to provide reliable life-long income for you. It is foolish to risk a large portion of your future income on the stock performance of one company because you can lose all of your investment if the company fails. You may feel an emotional attachment to the company, which is common. However, that doesn’t mean you should continue to own a lot of company stock as you transition into retirement. Add up the value of all your financial assets, such as savings, investments, and retirement accounts. Now divide the value of the stock you own into your total financial assets. If a single stock holding represents more than 5 percent of your financial assets, that is too much. Here’s an example. Say you own $50,000 of company stock, and you have $500,000 in total financial assets. That means 10 percent of your financial assets are in company stock. Again, that’s too much. 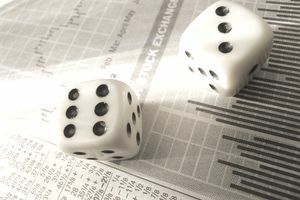 If you have more than 5 percent of your financial assets in company stock you’ll want to lay out a plan to start selling shares so you can invest that money in other assets to increase the diversification and safety of your portfolio. That’s where taxes come in. Your stock purchase plan shares may have some unique tax characteristics. To explain this, there are three factors that contribute to the taxation of ESPP stock. First, calculate the difference between the offering price (what you paid for the stock) and the fair market value (what a normal person buying the stock would have to pay for it as of the offer date). This amount is generally going to be considered compensation income, or earned income, and is usually reported on your W-2. Next, there is a gain or loss on the stock. This is the difference between what you paid for the stock and its value when you sell it. This type of gain or loss is reported just as any other capital gain or loss. Now it gets even more complicated. The amount of your profit that is attributed to either compensation income or capital gains depends on how long you’ve held the stock. When you sell your company stock, depending on when you sell it, it is classified as either a qualifying or non-qualifying disposition. With a qualifying disposition (meaning you held your ESPP shares for more than two years from the offering date, and one year from your purchase date) you are able to report more of your profit as a capital gain rather than as earned income. This is beneficial for you because the capital gains tax rate is lower than the tax rate for ordinary income. It is beyond the scope of this article to explain all the tax nuances, but if you want to dig into it Fidelity’s ESPP taxation made easy does a great job of explaining, although it is still challenging to understand and you may need to consult with a financial or tax advisor. Bottom line: If you enter retirement with a substantial amount of company stock you will want to estimate the taxes, and see if any planning opportunities exist. An accountant or financial planner can help you calculate different scenarios. For example, perhaps if you sell shares the year after you retire when you no longer have any earned income, then a lower capital gains tax rate will apply than if you sell the shares in the year you retire, where you may still have earned income to report. Most workers who have access to a stock purchase plan will benefit from engaging in a continuous cycle of buying stock through payroll deductions and selling the stock either as soon as you are able (if you want to reduce the risk of owning a single stock) or immediately after you have met the required holding period (if you feel managing taxes is more important than the investment risk of being overly exposed to a single stock). If you find a great deal of your financial security is tied to your employer, meaning both your current income while working and a large portion of your wealth through the ownership of company stock, then the risk decision should trump any tax-saving opportunities. In this situation work toward aggressively reducing your investment risk by selling off some of the stock. If you own enough stock you can also employ a covered call strategy that generates income on the stock while establishing pre-set price points at which you will sell it. If you have substantial financial assets outside of your company stock, then scheduling your stock sales in the most tax-efficient manner may be the factor that is more important than the risk in deciding when to sell shares.